You know we’re all about making smart financial investments, so when it comes to one of the biggest purchases that you’ll ever make in your life--your house--it’s critical to make sure you’re not overspending. Here we’ll look at 7 tips to help you avoid overspending on your home. After all, you want to make sure you’ve still got cash left over to decorate that beautiful new home, right? 1) Understand what the purchase price means. Before you put in an offer on that house you love, ask your real estate agent for a comparative market analysis (CMA). In this report, you’ll learn the average price per square foot for your neighborhood, and you can compare the property you’re buying to those in your neighborhood. If the house you're interested in has a higher price per square foot, then make sure to inquire about the upgrades to justify that price point! 2) Don’t buy the home that’s the highest price per square foot. There’s an important principle in real estate called the “Principle of Progression.” This means that if your home is of lesser value, it will appreciate in value by proximity to higher value properties. This means that if you purchase a home that is one of the lower price per square foot properties in a neighborhood, then your home has more room for equity growth and appreciation in value than if you purchased one of the higher price per square foot homes. 3) Decide on your exit strategy up front. If you’re a military family, you always need an exit strategy for your real estate ventures. In most cases, it is wise to prepare to have to convert that property into an investment rental property after you PCS. After only three years, most military families don’t have enough equity in their home to break even when they sell, so renting out your home often makes the most sense. Discuss rental market prices in your neighborhood with your real estate agent, and ideally, with a property manager who works in your area before you decide to buy to get a better sense of whether you’ll be able to cover your costs on a rental when you move. If the numbers don’t make sense, then that may not be either the neighborhood or house for your family. 4) Shop around for lenders. Interest rate is one thing, but your Annual Percentage Rate (APR) can hugely impact your purchasing power because it directly affects how much your mortgage will cost your family each month. Compare and analyze the loan costs from multiple lenders to make sure you’re getting the most bang for your buck. Want to know a secret? The VA loan is one of the most profitable loans for a lender, so keep that secret tucked in your back pocket when you’re looking for the best rates. With a good credit score and a track record of financial responsibility, you’ve got a good chance at having some negotiating power available to you when you’re utilizing your VA loan benefit. 5) Shop around for homeowner’s insurance, too. Quotes for homeowner’s insurance can vary by as little as a few dollars a month to $100 a month and more. Even a few dollars per month add up quickly over the life of a loan, and such a discrepancy can definitely impact your family’s purchasing power. Make sure to get at least three quotes. However, don’t simply pick your homeowner’s insurance because it offers the cheapest rate; cheaper is not necessarily better. Ask for recommendations and reviews. When it comes to insurance, you want to make sure you’re working with a reputable company that will pay your claim if misfortune befalls your property. 6) Don’t try to grow a rose in a garden of weeds. If the rest of the homes in your neighborhood have carpeting, formica counters, and basic appliances, don’t splurge on hand-scraped Amish wood, granite counters, and stainless appliances. Though beautiful, keep in mind that this likely isn’t your forever home. The last thing you’d want to see is those beautiful upgrades not maintained by your tenants, and then you’ll spend far too much money replacing those pricey pieces. 7) Don’t compete with your neighbors for added value. That’s not the only reason to not add too many upgrades, though. The other reason is the real estate principle of conformity. 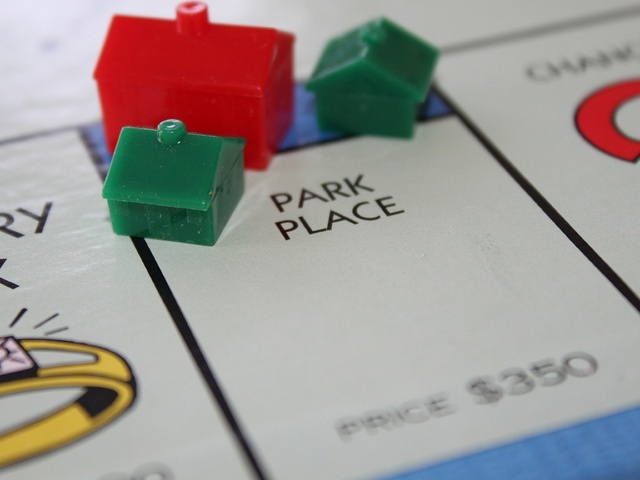 Your property only has so much room to appreciate in value above the homes of your neighbors. You can’t add $30,000 in upgrades more than your neighbor and expect that your $200,000 house is now worth $230,000 (or more!). The appraiser doesn’t care that your appliances are stainless; he only cares that they work. Stainless will affect your ability to market and sell your home, but in most markets, it doesn’t significantly affect the value of your home. What about you? Do you have any additional tips to share with your fellow military families to help them avoid overspending on their next home purchase?